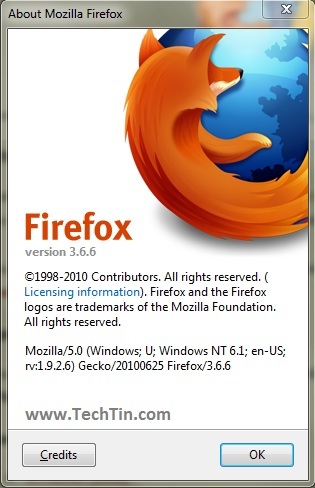 Firefox has released version 3.6.6 with many fixes, improved security and stability. You can read more about the release and about version 3.6.6 from firefox website. You can update your Firefox browser to latest stable release from Firefox. Help >> Check for UPdates..